The Work and Travel program allows host employers to add diversity to the workplace and find qualified workers during peak seasons. For international students visiting the U.S. on a J-1 Visa, one of the main highlights of this cultural exchange program is meeting new American and international friends and experiencing the United States and its culture. As a host employer, you are able to help these students enjoy the U.S. and act as a "cultural ambassador" for international visitors. 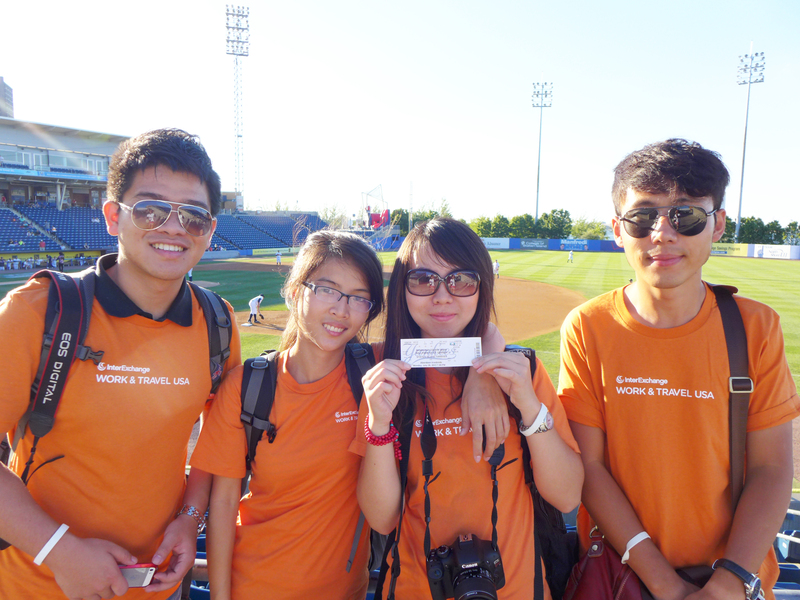 Take employees to a baseball game. Whether it's a professional team or a local league, watching an American sport is a fun way to experience U.S. culture. Barbecue or bring an outdoor picnic in the park on a nice sunny day. Invite international and American employees to bring in a special dish for a potluck lunch or dinner at work. Encourage American employees to teach their international co-workers about fun American sports and games, like Frisbee, baseball, football or kickball. It could become a regular social event! Bring employees to a local concert, street festival or community event. International students will be able to mingle with locals and learn a little about American culture. Visit an amusement park or water park in spring and summer for fun in the warm weather. Browse the Cultural Compass for other ideas on how to encourage cultural exchange with your Work and Travel USA participants. The Cultural Compass guide covers all 50 states and includes ideas for outdoor activities, museums, historical sites, festivals, local food and much more!